192 pages | 9 B/W Illus. Drawing on the work of Allan Schnaiberg, this book returns political economy to green criminology and examines how the expansion of capitalism shapes environmental law, crime and justice. The book is organized around crimes of ecological withdrawals and ecological additions. The Treadmill of Crime is written by acclaimed experts on the subject of green criminology and examines issues such as the crime in the energy sector as well as the release of toxic waste into the environment and its impact on ecosystems. This book also sets a new research agenda by highlighting problems of ecological disorganization for animal abuse and social disorganization. This book will be of interest to students, researchers and academics in the fields of criminology, political science, environmental sociology, and natural resources. "This book deserves a secure place on green criminology bookshelves. Highly recommended." "The Treadmill of Crime proves itself to be a major development in green criminology research. 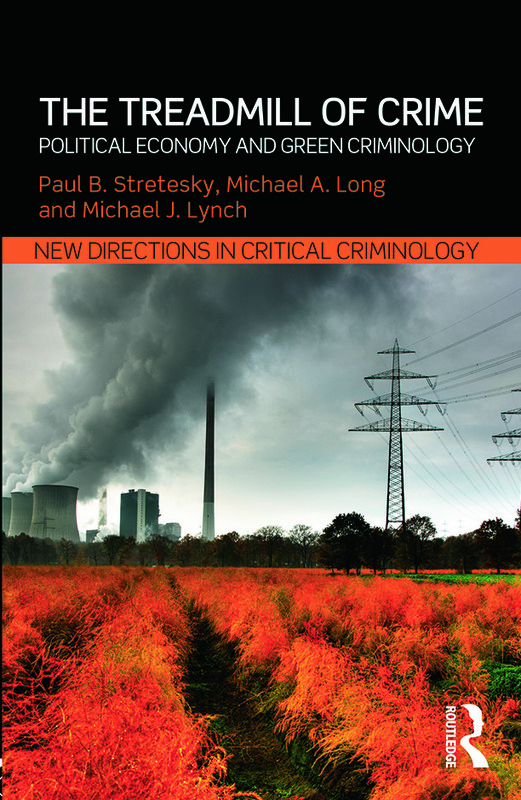 Stretesky, Long, and Lynch succeed in providing criminologists with an important, interdisciplinary theoretical perspective on why green crimes occur, which keeps political economy as the fundamental component in the understanding of environmental harm. The application of ToP in Treadmill of Crime makes the text rich with numerous examples of green crime, drawing from criminology, sociology, environmental studies, and public health literature. As such, The Treadmill of Crime is relevant for a wide audience, and is not only an important read for professionals engaged in green criminology research, but may also be of interest to practitioners working in areas of corporate crime, environmental justice, conservation, and/or environmental law. This book is also appropriate for graduate and undergraduate students, and could readily be adapted as a supporting text in a green criminology, environmental crime, environmental sociology, environmental justice, or corporate crime course." 1. Introduction, 2. Treadmill of Production for Green Criminology, 3. Crimes of Ecological Withdrawals, 4. Crimes of Ecological Additions, 5. Ecological and Social Disorganization, 6. The Treadmill of Animal Abuse, 7. Non-State Actors and Environmental Enforcement, 8. Conclusion. Paul B. Stretesky is Associate Professor at the School of Public Affairs at University of Colorado Denver. Michael A. Long is Assistant Professor at the Department of Sociology at Oklahoma State University. Michael J. Lynch is Professor at the Department of Criminology at University of South Florida. Critical criminology has gone through a number of significant changes since its birth in the early 1970s. New Directions in Critical Criminology provides authoritative original essays on major contemporary issues of central concern to critical criminologists around the world. Each book examines new areas of empirical and theoretical inquiry, and sets out an agenda for innovative progressive ways of thinking critically about crime, law, and social control. These books are specifically designed to be useful resources for undergraduate and post-graduate students, researchers, and policy makers.